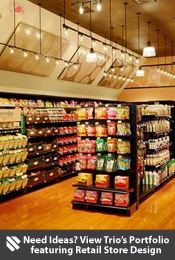 TRIO Display offers a complete line of food and convenience store displays, refrigerated and unrefrigerated. We have countertop cases, food display counters, wall cases, bagel display cases, donut cases, stand-up food merchandisers, candy cases, food table bins, and bulk food displays ready to ship. 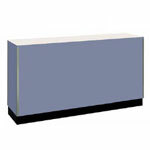 In our selection you will even find very reasonably priced acrylic sneeze guards. We’ll also build custom fixtures to fit your specific needs. If you don’t find what you need, please give us a call. 1 (800) 454-4844.